Abstract: Currently, the number of consumers of tobacco products in the world is growing rapidly. In this regard, the number of tobacco companies and varieties of tobacco is growing. Many tobacco companies write a small amount of components presented in the cigarette on the product box. But in fact, this information does not fully reflect the contents of the cigarette. This article presents methods for determining organic compounds in tobacco products, using gas chromatography-mass spectrometry, liquid chromatography, and liquid chromatography-tandem-mass spectrometry. Also the determination of heavy metals in tobacco products by extraction-absorption spectroscopy, atomic absorption spectroscopy, inversion voltammetry, inductively coupled plasma optical emission spectroscopy. KAPAR, Anel et al. Analysis of tobacco products by chromatography methods. International Journal of Biology and Chemistry, [S.l. ], v. 11, n. 1, p. 133-141, aug. 2018. ISSN 2409-370X. Available at: <http://ijbch.kaznu.kz/index.php/kaznu/article/view/297>. Date accessed: 24 apr. 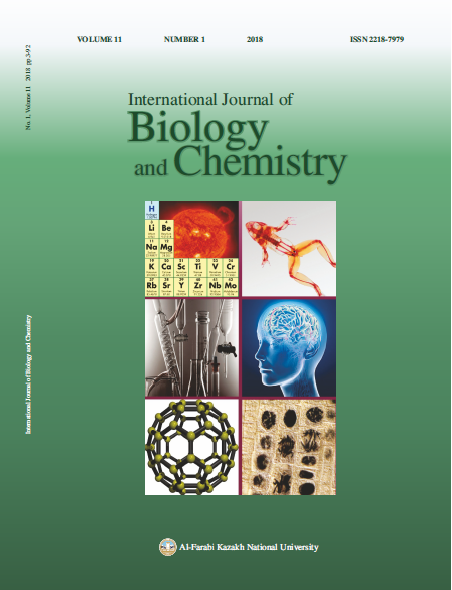 2019. doi: https://doi.org/10.26577/ijbch-2018-1-297.